Mumbai: A week after a devastating blaze in a city pub killed 14 people, the State Human Rights Commission (SHRC) on Thursday sought a detailed report on the incident from the BrihanMumbai Municipal Corporation (BMC). In a letter to Municipal Commissioner Ajoy Mehta, the SHRC sought a report by 29 January. This follows a complaint lodged by activist Vivekanand D Gupta. 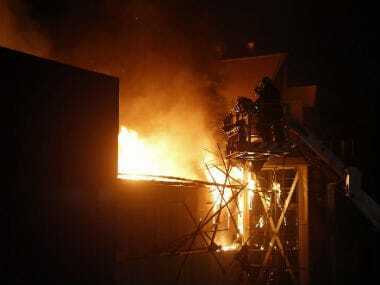 Early on 29 December, a massive fire broke out in The Mojo's Bistro and 1Above pubs in the Kamala Trade Towers located within the sprawling 35-acres Kamala Mills Compound in Lower Parel. The blaze claimed the lives of 14, including 11 women who were trapped in the inferno and resulted a furore in social-political circles. The incident prompted the BMC to launch a single biggest demolition drive of all illegal constructions and structures in hotels, restaurants, eateries across the city for four consecutive days — in around 700 locations. Now, the drive has been halted but all such outlets have been given two weeks time to demolish all the structures on their own, failing which the BMC would dispatch its bulldozers.